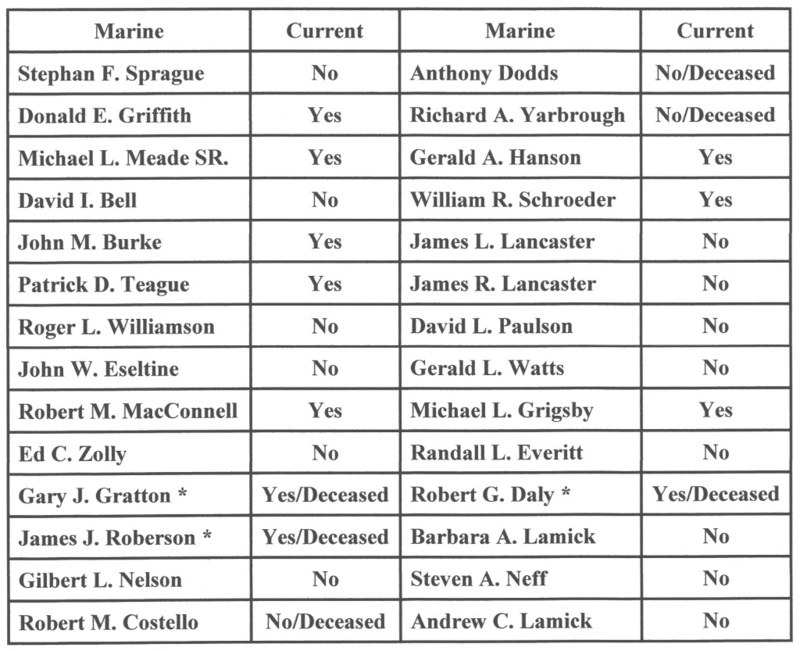 Signers to front of Charter (8 members) *=Denotes name on stone with asterisk. 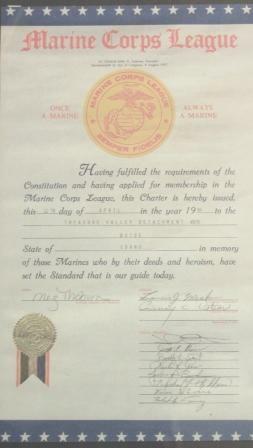 Having fulfilled the requirements of the Constitution and having applied for membership in the Marine Corps League, this Charter is hereby issued, this 11th day of April in the year 1994 to the Treasure Valley Detachment #878, Boise, State of Idaho in the memory of those Marines who by their deeds and heroism, have set the standard that is our guide today. 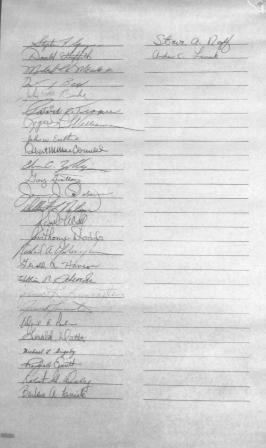 Signers to back of Charter (28 members) *=Denotes name on stone with asterisk. 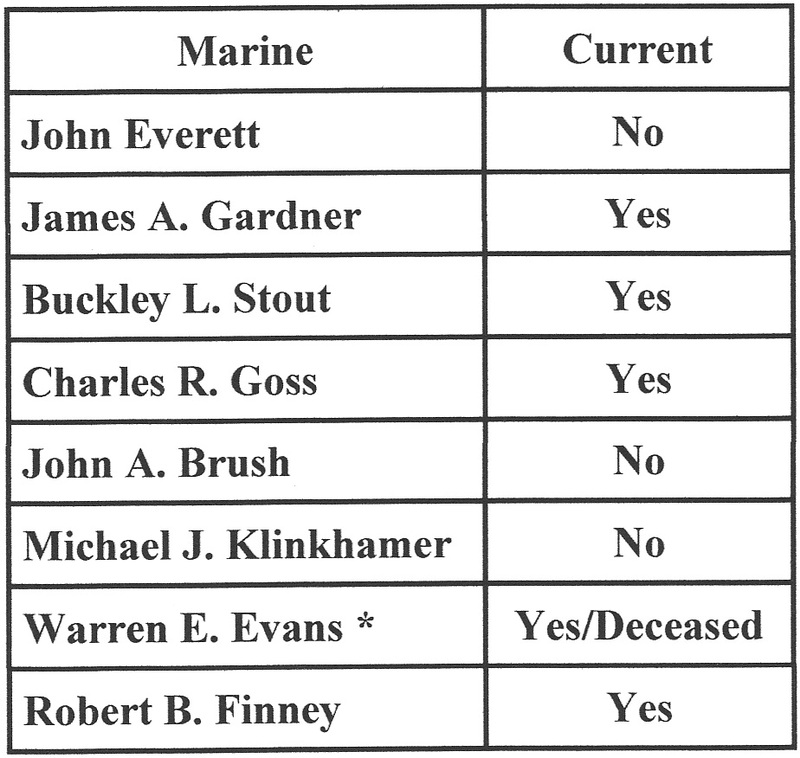 All names and information current as of 5 November 2014, Web Master, Marine Walt Modler.